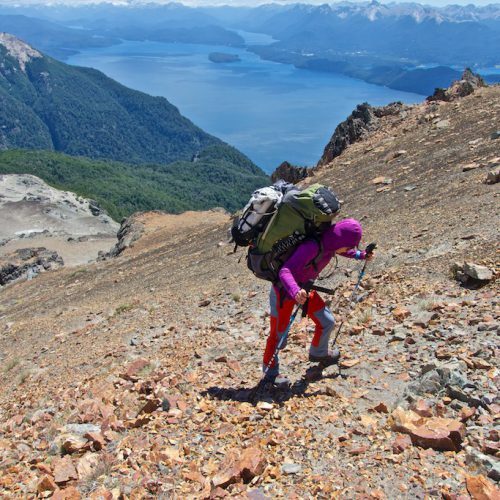 Am I really in Patagonia? 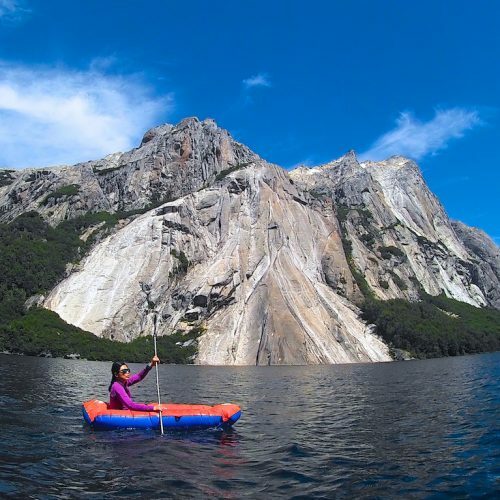 Paddling across the translucent surface of Lago Huahuahue, I heard the crack before I saw it. Well, not the crack itself, but the sound of a small stream trickling down the continuous fissure from the summit snow fields. 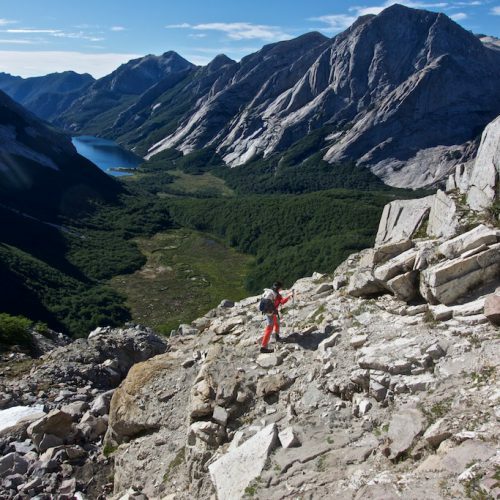 The northwest wall of Cerro Esquinero rises 800 meters out of the lake in the heart of Nahuel National Park, Argentina. At daybreak my wife Szu-ting and I moored our packrafts to a chockstone in the crack and started climbing. During the cool morning we followed the slabby sometimes-vegetated crack and quickly climbed seven pitches. Then the wall steepened and the full strength of the Patagonian summer sun hit us. The temperatures neared 80 degrees and our pace withered. Above me, melt water dribbled over a ledge like an overflowing sink. At least we had a drinking source, I thought as I stemmed my hands and feet out on the near frictionless granite to avoid the central water runnel. Reaching the ledge, I plunged my hand into a small depression filled with water. Fishing around for some type of jam, I felt something wriggle between my fingers. I yanked my hand back to reveal half a dozen tadpoles. They were happily squirming around in a pool the size of a milk jug 300 meters above the lake. 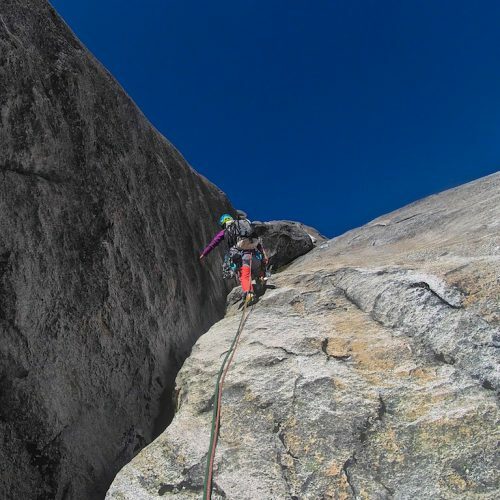 Sun, no wind, almost too hot to climb, now tadpoles on the route, was I really climbing a first ascent in Patagonia? The reminder to our location came in the form of a buzzing cloud of vicious Tabanos. These biting horseflies, the size of quarters, were our constant companions looking for any bare skin to exploit. Despite the heat, I pulled my hood over my helmet in an attempt to maintain my sanity against these winged devils. We met Juan Carlos Martinez on January 29, 2018 just north of Villa La Angostura. 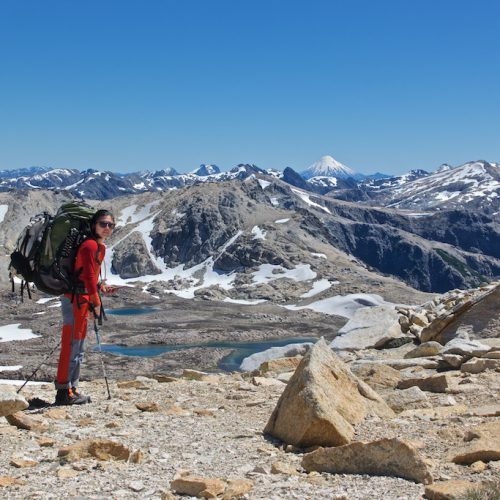 He warily eyed the two out of place foreigners with bulging packs filled with climbing equipment, camping gear, packrafts and food for 20 days. Eventually, he shook his head and motioned us toward his five-meter skiff. Without fluency in a common language, we let the small outboard motor fill the silence as the bow of the boat cleaved Lago Nahuel Huapi in two perfect halves. The immensity of the 557 km sq. lake was matched in size and color by the cloudless sky above. 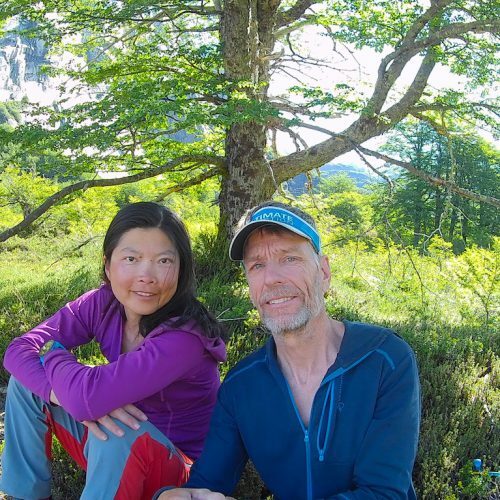 The sole interruption in this blue world, was our destination, the dark green beech forests guarding the foothills of Lago Nahuel Huapi National Park 12 km away. Once onshore, we followed and lost the tracks of the South American cougar and Huemul deer, while Andean Condors monitored our progress overhead. 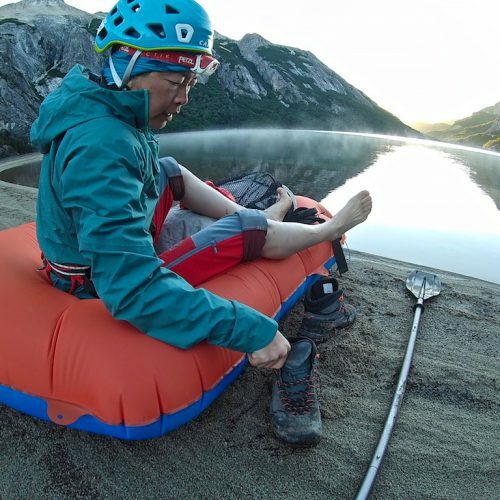 After four days of effort we set up a basecamp on the pristine eastern edge of Lago Huahuahue. 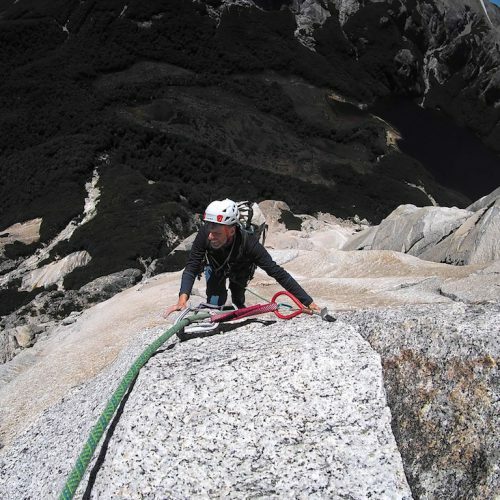 During the next 11 days we opened two routes on the unclimbed walls of Cerro Esquinero. On February 4 we climbed Ice Cream Tempura 5.10 R, C1, 490m and on Feb 12-13 we established Rising from the Ashes 5.11, C1, 880m. Our route, Ice Cream Tempura, ended 10m below the top of the wall. An unstable chockstone, the size of a dump truck oozing with moss and other vegetation, blocked our way. Not willing to give up we rapped down 50 meters to a flat ledge and bivied with nothing but our rain gear to ward off the cold. In the darkness my headlamp caught the reflection of two tiny eyes as a Las Bayas frog hopped away from my beam. 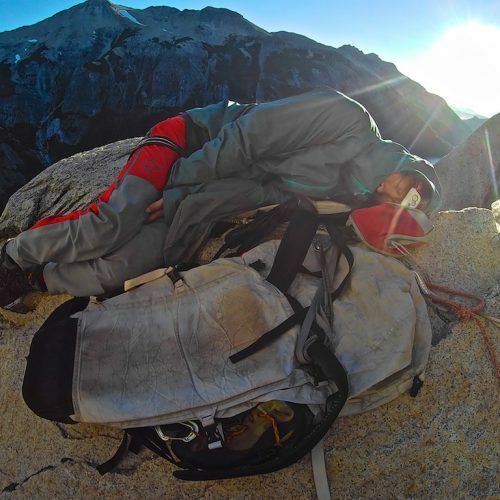 The morning light brought warmth, but no obvious route finding solution to the top. After climbing up a few dead ends, we began rappelling back to our rafts at the base of the wall. The water in the crack quickly traveled down the rappel ropes causing my belay device to dribble cold water into my crotch. “What am I doing here?” I cried out while swatting a Tabano from the tip of my nose. I’m wet, hungry, last night I shivered on a rock nearly 500 meters above the ground and we didn’t even top out the wall. A few rappels later I passed the tadpoles in their penthouse aquarium. The tadpoles were still swimming around eating algae growing in the granite crack. Unlike me, the tadpoles didn’t have many choices in their lives, but they seemed content with their own unique existence and certainly didn’t care what I thought about them. Gaining perspective on your life’s path often comes from unexpected sources. 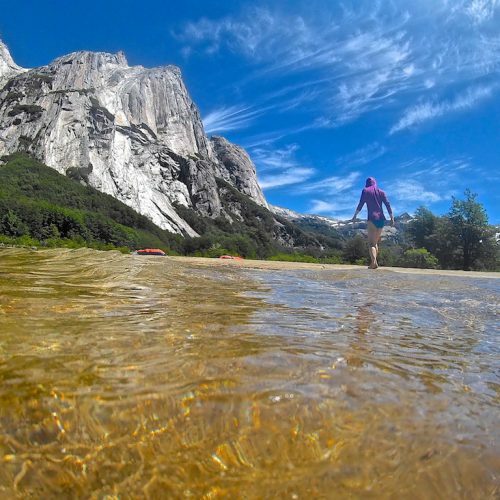 I thanked the tadpoles for their inspiration and stared out at the other unclimbed walls of the Huahuahue Valley, looking for new lines to explore.